If you like luxury, if you can appreciate that it doesn’t always mean ‘expensive’ you will find Gaby’s experience and point of view well worth considering. She has unquenchable thirst for new horizons and will advise you with meticulous care of your needs and comfort. 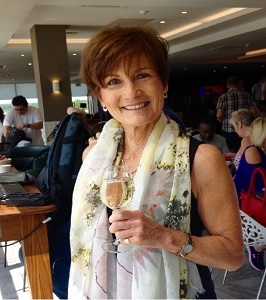 Gaby came to us with a wealth of knowledge of South Africa and the Caribbean, but we are pleased to see her add Australia and Canada to her portfolio since joining Hallmark Travel. You will see Gaby on Tuesdays, Wednesdays and Thursdays in the office – but you also see her out and about networking and representing Hallmark Travel at all sorts of functions – so do say hi! Why not contact Gaby now?